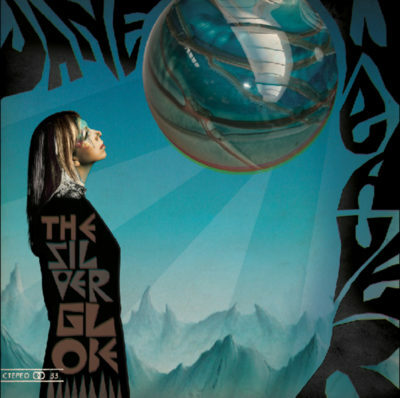 Like all good parables Jane Weaver’s sixth solo album, a concept album called The Silver Globe, is as multifaceted as it is beguiling. 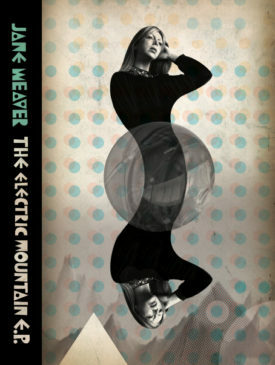 Part coming of age/part cautionary tale and part romantic peon, this synth ridden post-apocalyptic prog pop opus is based on tightly embroidered, non-linear recurring themes and inspired by esoteric stories, cosmic imagery and refiltered past experiences. Written from the optimistic vantage of a long-standing female independent artist, in an desperately evolving industry, Jane’s latest set of self-penned pop abstractions combine mechanical rock/recycled European cinema/empyrean vocalisations and an arsenal of rescued vintage synths to create a futurist narrative backdrop of a allegorical post apocalyptic landscape. Assembled from disparate studio sessions recorded sporadically since the release of the critically acclaimed Fallen By Watchbird LP The Silver Globe explores new collaborative relationships featuring tracks co-produced by David Holmes, guest appearances by Australian vintage space rockers Cybotron, a recycled chunk of an 80s Hawkwind track, an intricate Damon Gough guitar solo, some Suzanne Ciani waves and post production/remix flourishes by Andy Votel. Enjoying her most fertile period to date Jane’s reactions to the music of Italian synth starrs Daniela Casa and Doris Norton with local DIY artists like Una Baines’ The Fates (released on her own Bird imprint) provide yet another launch pad for Jane’s latest musical trajectories.